This month the Sign Here team have joined forces with Sign Services & Maintenance WA and are taking part in Steptember . 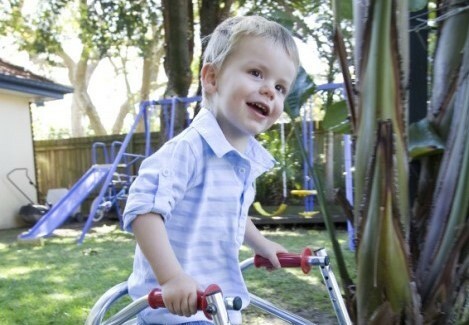 We’re raising money and awareness for cerebral palsy and this great cause – If you’d like to donate to our team, or track our progress click the link below. Combined were at over 218,000 steps so far, and that’s only 2 days down. Looking for a way to increase your fitness levels, develop new healthy habits, have a great time with friends, and raise incredibly important funds to support people living with cerebral palsy (CP) right across Australia – all at the same time? Then look no further, because here it is – Steptember 2018. Sounds easy, right? Well, perhaps not. But certainly rewarding, inspiring – and enormously appreciated! Let’s face it. Taking 10,000 steps a day for 28 days straight is one heck of a commitment! But every step will be made easier because you’ll know that it’s all for a very worthy cause. 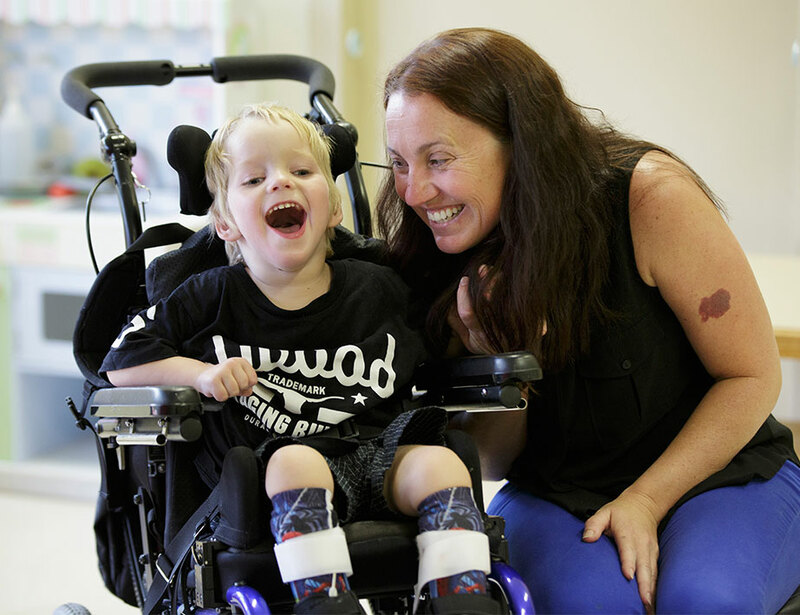 Thanks to the sponsorship of friends, family and colleagues, you’ll raise vital funds to help pay for equipment, therapy, and research into groundbreaking treatments for cerebral palsy. 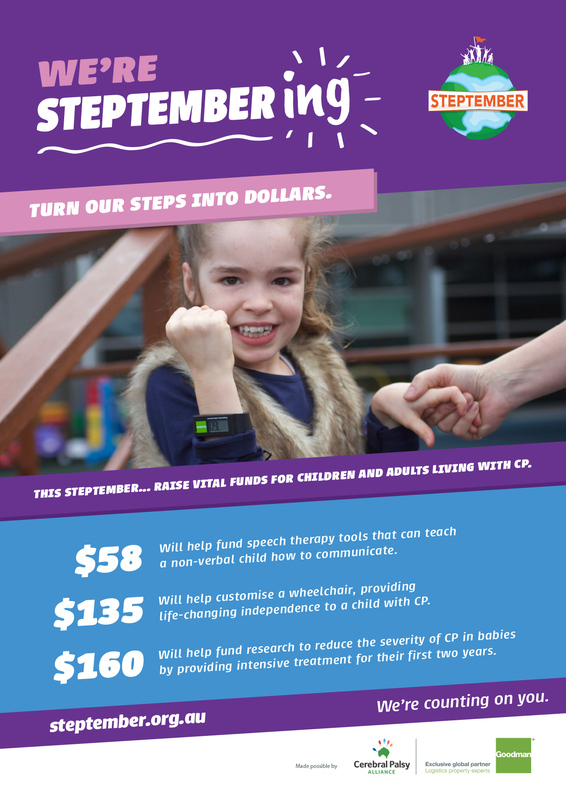 Every dollar you raise during Steptember allows us to provide much-needed services, support, and care for so many kids and adults living with cerebral palsy and their families. Kids like Dan and Hunter (pictured), have shown more courage and determination in his first few years than most of us need to in a lifetime. But these things are only possible with your support. So go on, register today. 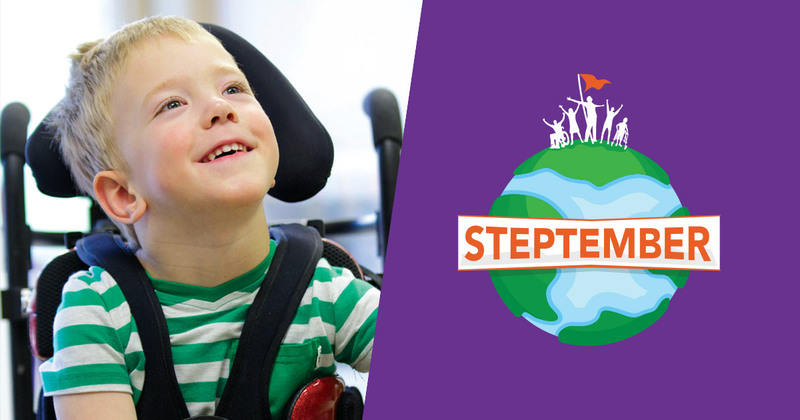 The steps that you’ll take this Steptember will help more kids like Dan, and that’s a beautiful thing.